This work explores the physical implications of variation in fin shape and orientation that correspond to ontogenetic changes observed in sea turtles. 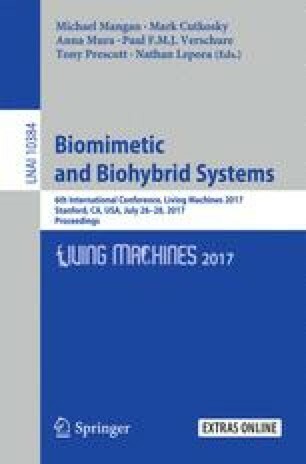 Through the development of a bio-inspired robotic platform – CTurtle – we show that (1) these ontogenetic changes apparently occupy stable extrema for either load-bearing or high-velocity movement, and (2) mimicry of these variations in a robotic system confer greater load-bearing capacity and energy efficiency, at the expense of velocity (or vice-versa). A possible means of adapting to load conditions is also proposed. We endeavor to provide these results as part of a theoretical framework integrating biological inquiry and inspiration within an iterative design cycle based on laminate robotics.